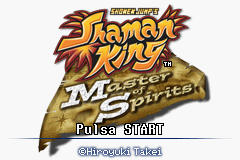 Shaman King: Master of Spirits is an action platformer game for the Game Boy Advance. 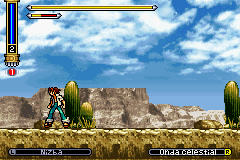 Based on an manga/anime “Shaman King”. 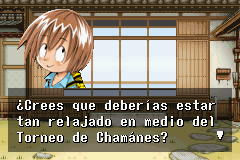 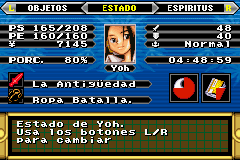 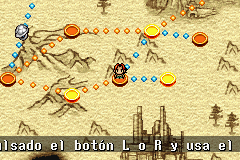 This is a Spanish translation of Shaman King: Master of Spirits for the GBA.